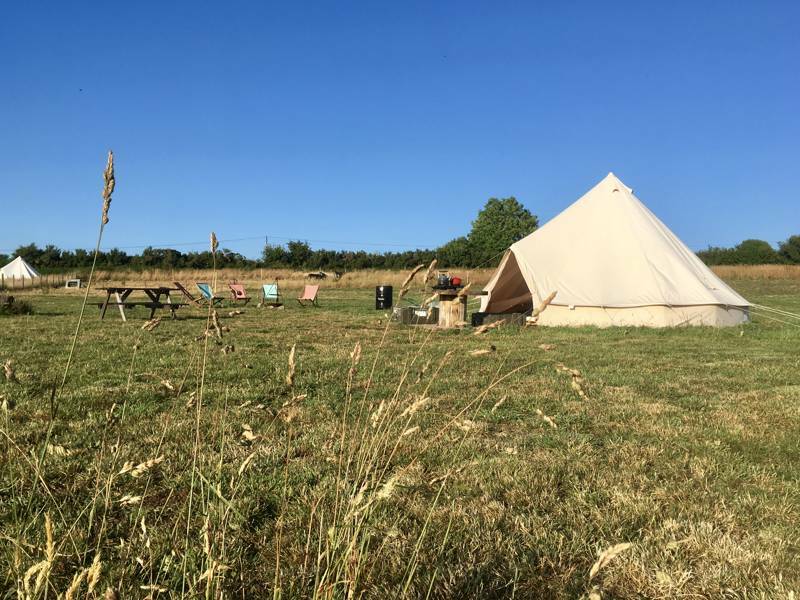 Located in the meadow, our luxurious bell tents are fully equipped with everything you could need for a hassle-free holiday. 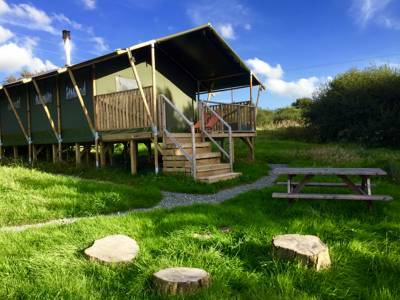 Sloeberry Farm Lodges and Bell Tents are located in 13 acres of pasture & woods, only 3 miles from the fishing village and stunning beaches of Aberporth and a short drive from the historic town of Cardigan. 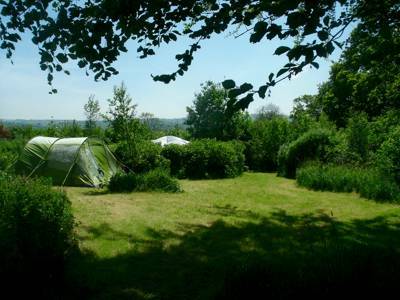 For latest availability and best prices for Sloeberry Farm, please use the Date Search above. 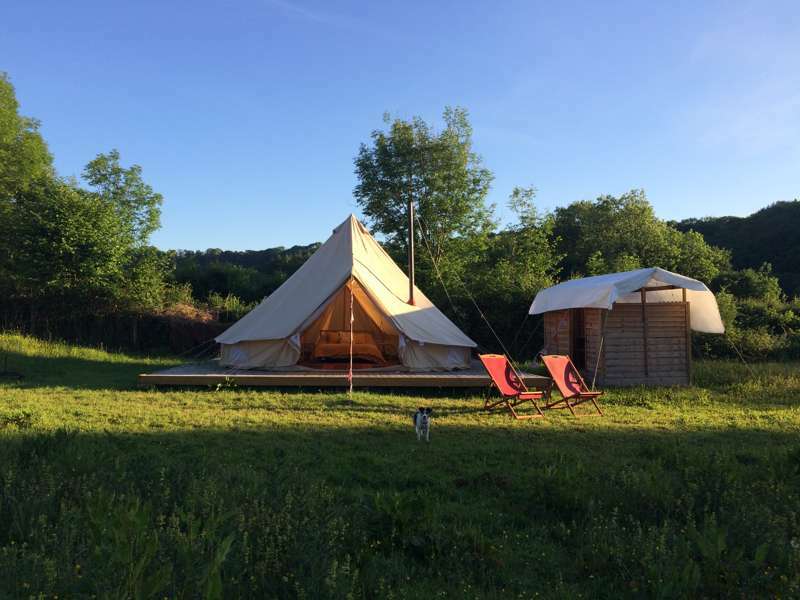 Bell tents contain real mattresses, duvets and blankets, gas hob cooking facilities, cold locker, kitchen equipment, firepits, picnic tables and deck chairs. 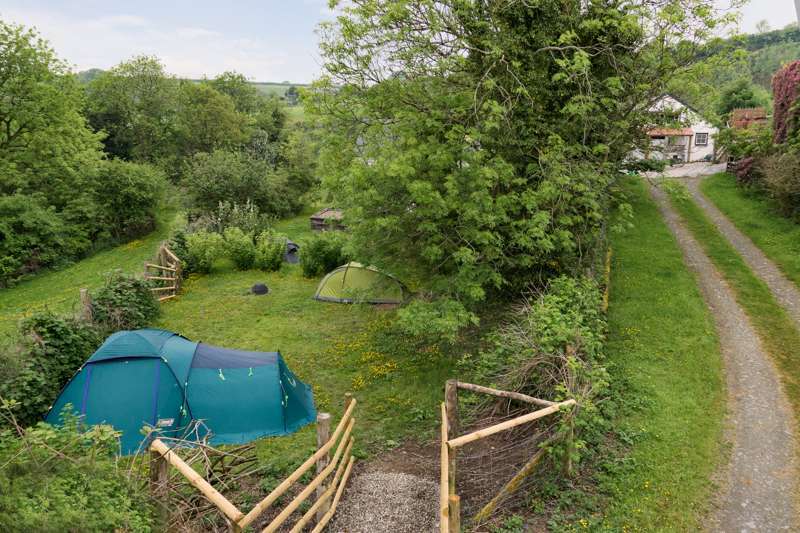 There are modern toilets and gas powered showers housed in huts created by a local craftsman and a spacious washing up area. Canvas lodges sleep up to 7 people in a king bed, full size bunk beds, comfy camp bed and a king size cabin bed. They are equipped with leather sofas, wood burners, dining table and fully equipped kitten including cold locker. 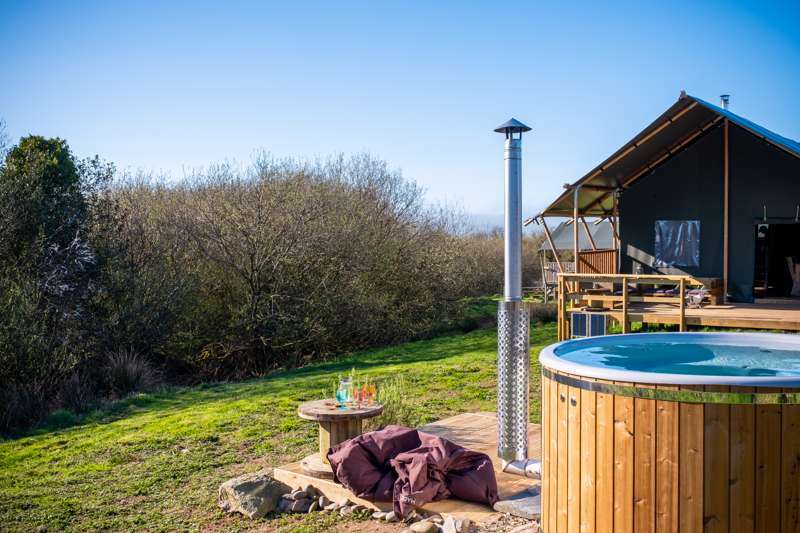 Each lodge has a private shower room and en suite wash room with basin and flushing toilet. On the deck there are deck chairs and bean bags. They have picnic tables, fire pits and a separate BBQ. Also, available for use is a fridge and charging points. 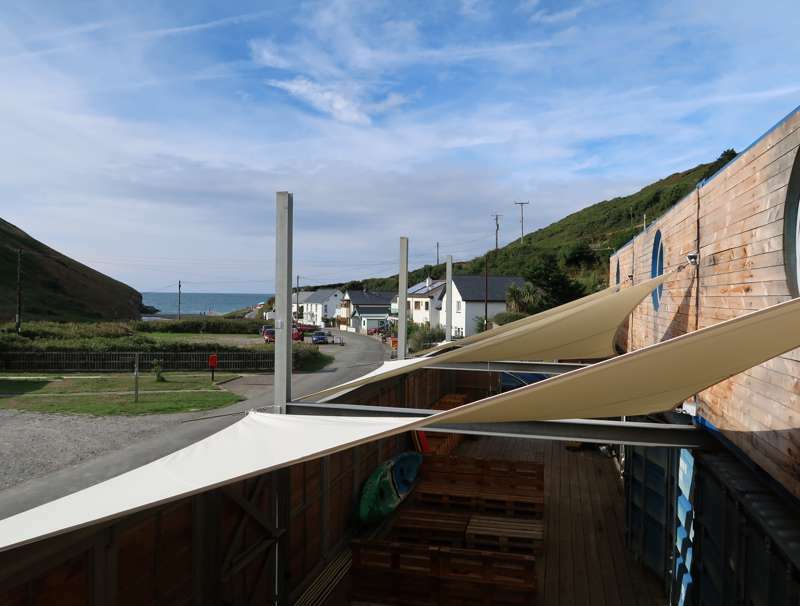 Lonely Planet recently voted Cardigan Bay "the best place to be in the world right now" and it certainly fits the bill with it's mix of fantastic beaches and coastal villages, yet still retaining a relatively uncrowded feel, especially out of peak season. Cliff walks on the coastal path, sandy bays and National Trust-owned beaches are the highlights. 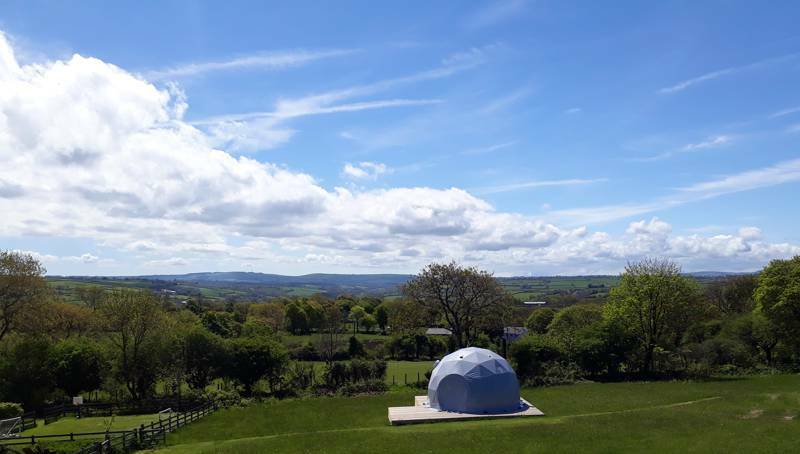 By car, the town of Cardigan is not far away, formed around a Norman castle which is open to the public and boasts a great café and frequent outdoor events. Nearby Cilgerran Castle (01239 621339) still welcomes visitors – its two massive drum towers dominate the surroundings. North, picture perfect New Quay has a cobbled stone harbour – with plenty of cafés and fantastic chippies, it's a great place to enjoy the views and spot the Cardigan Bay dolphins. The nearest pub, the Penllwyndu Inn (01239 682533), is an easy mile and a half walk away – don’t be put off by the hangman's noose sign! There are plenty of other places to eat and drink within within easy striking distance but the nearest are either in Cardigan (5 miles) or Aberporth (3 miles). The former has plenty of choice, plus a supermarket for supplies, while the latter is slightly smaller but has a great fish and chip shop (01239 811003) next door to The Ship Inn (01239 810822), both of which have excellent views of the beach. 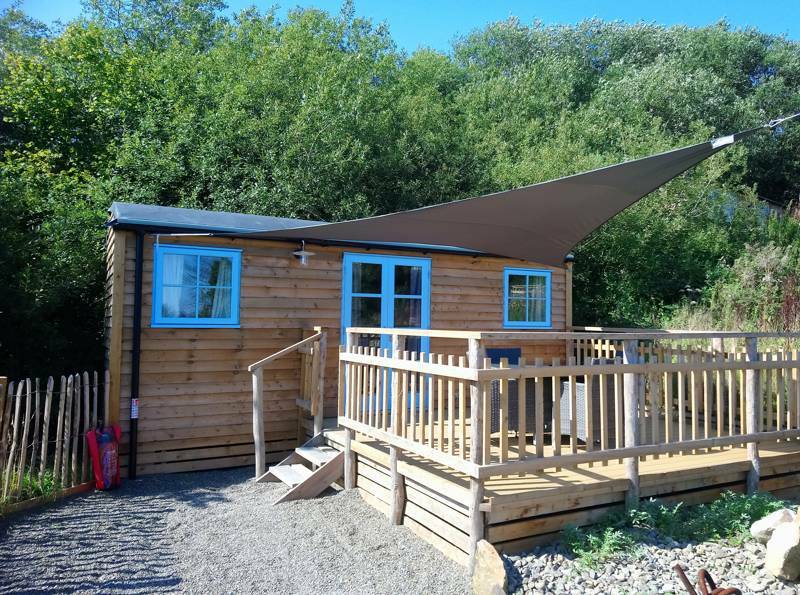 Sloeberry Farm very close to Aberporth, the nearest large town is Cardigan 10 mins away and is easily reachable from the M4 to the East or the main A487 coast road from the North and South. Full directions given upon booking. 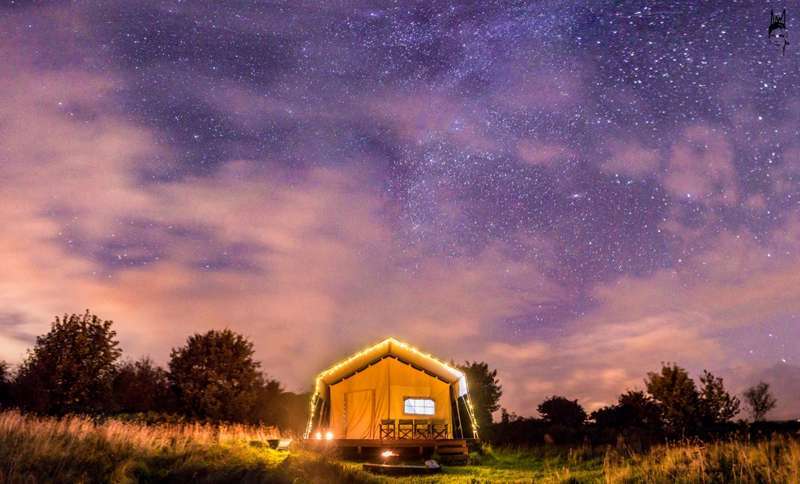 Getting back to nature doesn't mean giving up every modern luxury – as Sloeberry Farm shows – but there are some that you'll certainly not need while you're here. Put down the iPads, switch off the Kindle, throw away their phones and let the kids loose. 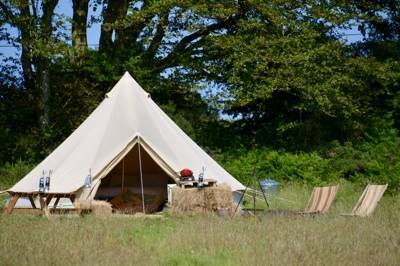 7 bell tents and 3 safari lodges. 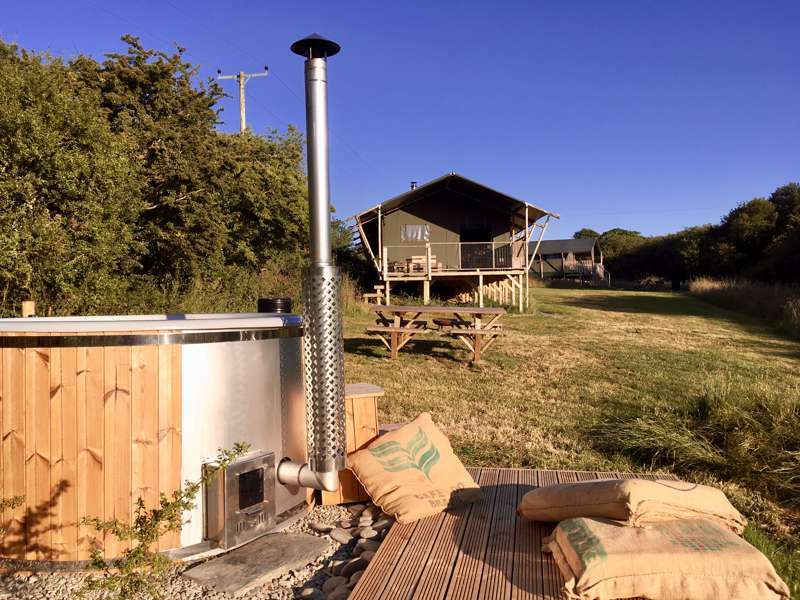 A cool retro caravan for glampers and traditional tent camping on this charming organic farm near Cardigan Bay.